Is Hillary Clinton or Donald Trump better for the stock market? 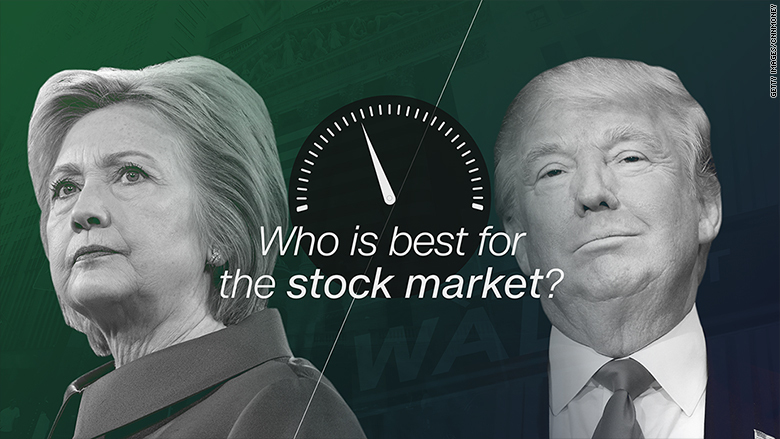 Which candidate would be better for stocks? No one knows exactly how the next president would impact their portfolio, but investors seem to think Hillary Clinton has a slight edge on Donald Trump. About 25% said Clinton would be best for stocks, according to a survey of 1,000 investors conducted by TD Ameritrade (AMTD) in early March. Meanwhile, 20% said Trump, and 19% said they didn't know which potential nominee would be best for the markets. The rest were split between John Kasich, Bernie Sanders, Ted Cruz, and Marco Rubio (who has since dropped out of the race). Related: Would 'President Donald Trump' be good or bad for stocks? It didn't matter how much money they have invested, more people across all asset levels ranging from $10,000 to more than $500,000 said Clinton. But more men said Trump would be better for investors than the Democratic front-runner, by about 3 percentage points. Nearly 25% of men said Trump would be better for the stock market than any other candidate, but only 15% of women agreed. About 25% of investors surveyed said Hillary would be better for stocks, and 20% said Trump. Related: Are Trump and Sanders hurting the economy? Why would investors think Clinton would be better for the stock market? They don't like uncertainty, and she appears to be "a little bit more of a known entity than the other candidates," said Scott Kolman, a finance lecturer at San Diego State University. While Trump supporters consider him to be a successful businessman, others don't know what to expect if the "outsider" wins the White House. And historically, Democrats have been better for stock market performance. The S&P 500 gained an average of 9.7% annually under Democrats since 1945, compared to 6.7% under Republican presidents. Some, like UCLA economist David Shulman, believe a Hillary win has already been priced into the market. To Shulman, Trump and Sanders would be the worst for markets because they promise to enact a "fundamental change" in policy. Trump has threatened to start a trade war with China and Mexico, slapping fees on imports to make them more expensive. Sanders talks of breaking up the big banks and creating new taxes. Still, we don't know how much of their stump speeches would come to fruition if they win the oval office. Some don't believe the election will have much of an impact on stocks at all. 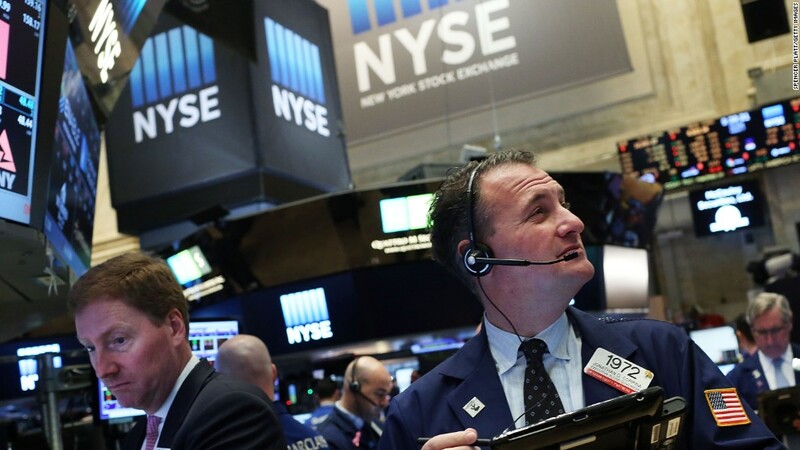 "Both will impact the market to some extent, but long term I don't see either Trump or Clinton influencing it as much as some may think," said CFP Andy Tate.